Wheelchairs incorporate lots of different bits and pieces. Do you know which wheelchair spares you should have in the house, just in case? 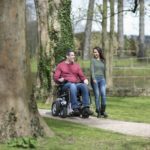 This article will look in detail at the wheelchair spares that are available, and how to manage them. 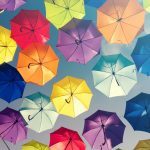 Have you ever found yourself with a deflated tyre or a broken wheelchair bag, and realized you faced a several-week wait for their replacements to arrive? What about a faulty brake pad or a broken foot rest? Any new fault or problem with your wheelchair, whether manual or electric, can severely limit your mobility and independence until it is fixed. This may be with a next-day delivery from a large online department store, or it may be that the item you need must be specially ordered from an international supplier and will take longer to arrive. What if one of your casters breaks, or your wheelchair cushion tears? Are you aware of the specifications that will enable you to replace them? 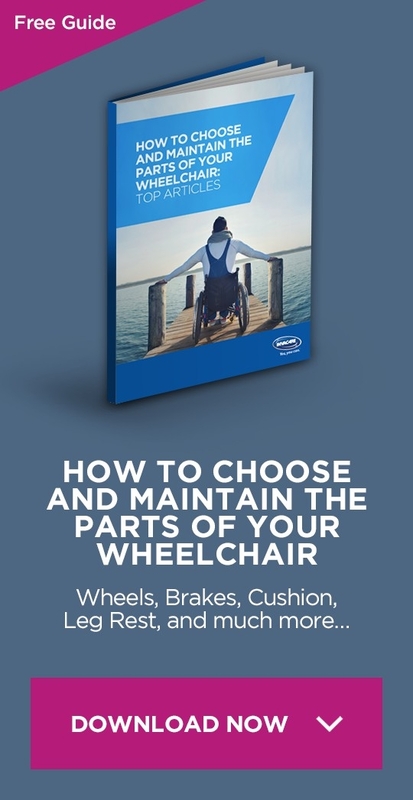 It is far better to answer these questions in advance, when preparing for the possibility of a wheelchair breakdown or a fault with a particular part of the mechanism. Being taken by surprise can lengthen the time you are without equipment and can therefore limit your life, for a considerable period of time. When you first get your wheelchair, it should come with a manual, full of information about how your wheelchair works, and which parts are included. Whatever you do, keep hold of this manual! It will be invaluable if and when you need to replace something and don’t know its precise measurements. The manual will also remind you of the brand of your wheelchair, which may come in handy if you need to buy brand-specific accessories in the future. Your wheelchair may come with some spares to start with, or it may be that you have held onto some spare items from a previous wheelchair that will be a perfect fit for your new one. In this case, you need a system to manage these spares so that they don’t overwhelm or confuse you. Make a note of any spare wheelchair parts you have around the house, so that you can access a list at any time. Note the measurements, purpose and brand of each wheelchair spare product you have, along with where it is located in your home. Keep your chair’s manual in a safe place, along with the list of accessories you have. Once you have all of your wheelchair replacement parts purchased and written down in a list, don’t neglect the final step of keeping the parts themselves in a safe place! It may be tempting to throw the extra parts outside in a storage building, or to toss them into a garage, but before doing so, you need to make sure the environment dry and clean. Having spare parts will do you no good if the parts become dirty or damaged before you have a chance to use them. Keeping parts in their original packaging is a good idea for protection. Or if you prefer, you can keep them in a plastic tub or a cupboard that protects them from dust and weather. Keeping the parts inside the temperature controlled part of your home is the best choice, if you have enough room. Wheelchairs are complex items made up of many carefully engineered parts. And while they are designed to last for years without breakage, sometimes, incidents happen and parts need to be replaced. Tyres: if you get a puncture or dent a tyre’s spokes, your ability to get around will be severely limited. Having a spare tyre (of the right size and fit!) is a smart idea. Brakes: whether you use wheelchair wheel locks or brakes or both, you don’t want to be without them. Cushions: comfort is always an important issue. Consider having spare cushions at home, perhaps in different colours to brighten up your chair. Foot rests: these are important for both safety and comfort, so look into the practicalities of having spare foot rests at home, or at least know where you can get replacements if required. Bags: there are different kinds of wheelchair bags for different purposes. If your dedicated wheelchair bag breaks, do you have a replacement? Casters: as with tyres, any faults with your casters could make getting around exceedingly difficult. Look into keeping spare casters at home, as they take up virtually no space. Brake cables: just as important as your brakes are the cables that make them work. Is it realistic to have spares in your home? Inner tubes: these are so inexpensive that is it well worth having some ready at home, just in case. If they are specific to your wheelchair, you can always sell them if and when you upgrade to a different chair. If you have an electric wheelchair, it is important to properly charge and maintain your battery. The battery is an essential part of your chair. But sometimes, even with the best maintenance, the time will come when you have to replace your battery. Always have a spare. Besides keeping an extra battery on hand, stock up on other supplies you may need, such as a charger. The charger needs to be made specifically for your brand and type of battery. Using chargers not designed for your chair can cause damage to the battery and shorten its life. Electric wheelchairs also have other electrical and mechanical parts that manual chairs do not. 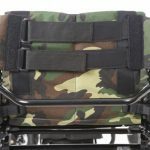 Knowing your chair is working at optimum performance and doesn’t need recalibration can save on wear and tear and extend the life of the chair. 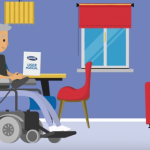 This video shows how the new technology simplifies your role in determining which wheelchair replacement parts you might need. There are lots of online mobility stores that stock products, but sometimes, it pays to go to a specific dealer who is local to you. This is someone who has specialist knowledge and can advise you based on your own situation and the wheelchair you already have. Buying a cheaper pair of casters or foot rests online is no bargain if they don’t quite fit your equipment! For example, if you have an Action 5 chair you will want to only use Invacare wheelchair parts on it. You may also find that there are lots of brands of wheelchair spares that seem similar, but that actually vary in quality and appearance. Making a decision to only buy original brand spares can be a smart investment, even if they cost slightly more than competitors’ brands do. This is because original brands are designed to work with your precise wheelchair, not a generic guess about wheelchairs that roughly fit the size and shape of the one you own. The small pieces that make your wheelchair work are just as important as the seat you sit in. Making the right choice about buying spares, and what kind of spares you need, is a decision that shouldn’t be taken lightly. Poorly designed cushions or badly fitting bags will be an irritant and affect your comfort, and for some spares, even your safety. Don’t compromise on the wheelchair replacement parts you buy, just as you wouldn’t compromise on the wheelchair as a whole. Get advice from a dealer when you need it, and carry out as much research as you can yourself, asking physiotherapists or occupational therapists for assistance if necessary. If you would like to find your closest Invacare Sales office, this page allows you to enter your address and search for the nearest representative. We’ve included a quick reference of the phone numbers for the main offices in the European Union. In case you need to check which replacement you need for your wheelchair, you can visit the parts catalog or contact your dealer. For your safety and in order to retain warranty, any repair or service has to be done by using original Invacare wheelchair parts only. When searching for the wheelchair parts you want to purchase, be sure to use specific information. At the very least, you will need to know your product name, such as Invacare Storm4. Knowing the item number helps you be even more exact. For each wheelchair spare, you will also need to know the part number or description. Make sure your information is accurate. Even being slightly wrong (e.g. regarding the size of the item) might lead to a wrong part being shipped to you, possibly not being compatible with your chair. 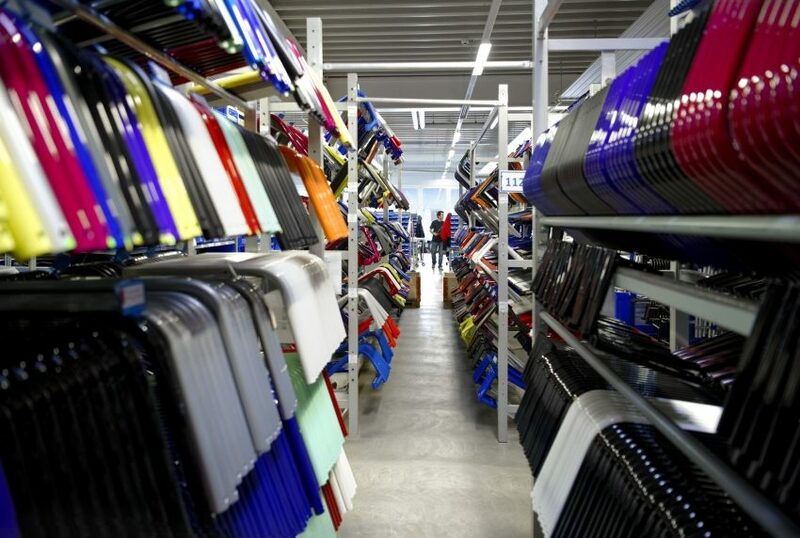 Once you have thought through what parts you need to keep on hand, and you have the specific information for ordering, you are ready to create and manage your essential supply of wheelchair spares!